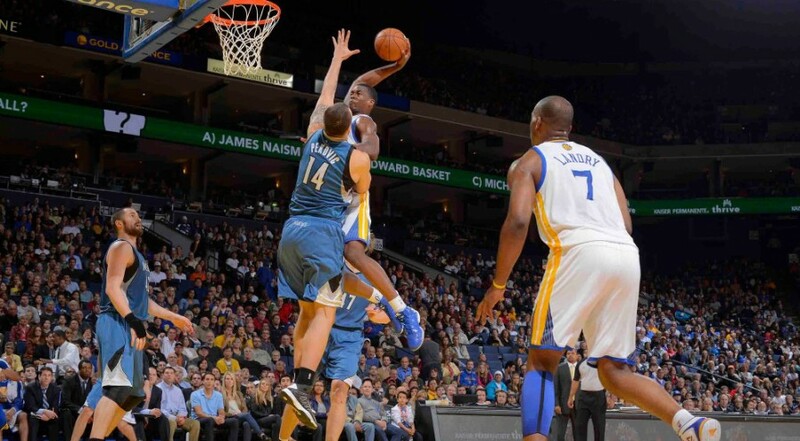 You do have to wonder what happened to all of the people who claimed Harrison Barnes was a bust in college. So I’ve been writing over the past week about ways to make yourself into an elite student, not just an elite athlete, first breaking down how to math word problems and then using Lebron to explain Newton’s laws of motion. Today I’m offering one of the most powerful tools I know to improve your schoolwork in every single subject: reading comprehension. Wait! I can already see your eyelids drooping – but trust me on this, it’s going to be quick and easy and when you are done I promise you will not only have a better way of approaching all of your subjects but you’ll also know a lot more about the NBA Rookie Pay Scale. In order to explain this, let’s start by imagining that you, yes you, get a phone call today from the NBA commissioner. Then you do a little more research (a.k.a. ‘Googling’) and you find that 2012’s 7th round pick, Harrison Barnes, signed his rookie contract for $2,923,920 for the first year, while Ben McLemore signed his contract for $2,895,960. Okay, hold up. Both Barnes and McLemore signed for more than the rookie pay listed in the table, which was $2,413,300. In fact, both are getting considerably more in their first year – about half a million dollars. So what gives? It turns out that the rookie pay scale is not an exact amount, but a range. Contracts can be up to 120% of the amount listed and not less than 80% of that amount. So while the team who is about to offer you a deal would love for you to take the rookie pay scale, you already know that the last two draft picks got quite a bit more, and you are ready to play hardball. Without looking back at the scenario we talked about, can you answer any of the following questions? 1. Are rookies in the NBA paid exactly at scale? 2. Does the rookie NBA pay scale – the amount the player gets paid – change based on their draft position? 3. At which draft position were Ben McLemore and Harrison Barnes both taken? 4. Who called you on the phone to tell you there’d been an NBA draft mistake? I’m pretty sure you could recite the answers to all of those questions without even batting an eye, and you might be thinking, ‘well, duh, of course – I just read that information a few seconds before you asked me!’. But see, here’s the point: you didn’t instantly recall the details of the draft scenario simply because you just read it. Actually, you recalled it because it was interesting and it most likely involved several things you want to know more about – the NBA, money, how much money someone can make playing basketball, and so on. As sports fans, we also know there is a culture of knowledge around sports, and we don’t want our buddies beating us up because they know more than we do. So you were reading with focus and interest, even if it didn’t feel like it. I’m pretty sure that tomorrow, you could explain how the rookie pay scale works if someone asked you about it. I’d go so far that you’d remember how the rookie pay scale works if someone asks you two years from now. Here’s the real kicker: that, in a nutshell, is reading comprehension, and even though we aren’t always trying to learn the NBA salary scale, anything we are trying to read an retain can be done in the same way. All you have to do is read whatever it is you’re trying to learn with the mindset that you want to be able to turn around and explain it to someone else. I’m not saying it’s always a breeze, but the concept will always work. Read as though you’ll have to really explain it, and you’ll find that you will pay more attention to the subject matter, and your brain will really try to get a fundamental understanding of what you are reading as opposed to just trying to memorize it (which never works). You can follow Marcus Shockley on Twitter. 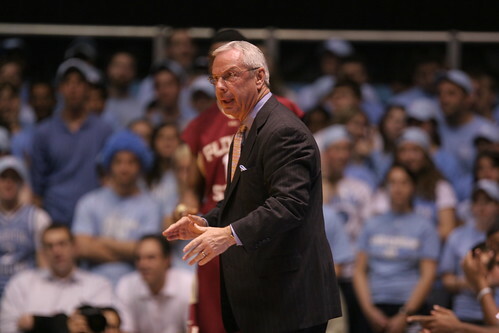 James scouted UNC last year against Wake in February. In this report, James takes a look at how each of these players improved in their respective weaknesses from last season. Showed grit and toughness on the boards (4 rebounds in first 6 minutes). Rebounding numbers per game are down a bit from last season, 5.8 to 4.6 so far this year- but strong performance shown tonight. Hard to get rebounds when you have Henson and Zeller feasting on the back boards. Form is picture perfect. Excellent physique and NBA level build. Must improve defensively- watching this game- seems to have almost taken steps backward in this area- poor close outs- had a tough time defending Nikita Mescheriakov. Slow release- won’t be able to be a player who gets shots off in the NBA coming off curl screens or cuts with an NBA 3 guarding him. Looked focused in warm- ups. His straight away set 3’s looked good- strongest spot and shot. He also shot a lot of 1 dribble pull ups going to his left. Has a high release, but it has not seemed to speed up any from last year. Hard worker- will be a true professional- a player you won’t have to worry about both on and off the court. Will be a top 10 pick- speed and athleticism are average compared to an NBA SF, which is what he will play- better shooter though than average 3. Had a nice pass to Barnes out of double team- improved passer from last year. Great rebounder- sticks with it- physically dominated Wake Forests bigs inside. Does a great job of absorbing contact and takes advantage on the FT line (over a 75% FT shooter)- nice touch on FT line. Very strong base. Hook shot is pro-ready. Limited offensively- back to the basket offense only- hasn’t showed me the ability to step out or face up yet. Questions about his ability to stop pro-level guards from turning the corner. Warm-ups- His right hook shot over his left shoulder looked good- shot over 30 of them from multiple angles- even looked good from 3rd hash mark. He also practiced a spin into a left hook shot that banked in. Went to Zeller a lot early. Averaging almost 10 rpg and shooting almost 60% from the field for the season ( both career best). Did very well against Wake Forests post players, but I still question how he will do against NBA centers. He is a safe first rounder. Must improve perimeter defense- stands up instead of getting low in defensive position. Brought ball down too low when in post. FT’s are very inconsistent. Has added muscle (220lbs), but must continue to get stronger- got pushed too deep several times. In warm-ups FT’s looked better then last year, but still must improve in that area (shooting 45% from line this year). His off hand placement needs to be more consistent, sometimes it floats on top of the ball and when this happens his misses are all over the place. When he keeps his hand on the side it looked good. Henson has improved every season- he has put on muscle, developed a solid post game, and continues to influence the game defensively in the paint. In my opinion he is on the verge of being a lottery pick in a deep upcoming draft. Will fit in nicely with a team who needs a long, athletic PF, full of upside. Moves the ball with precision, accuracy, and quickness against man 2 man and zones. Hit an open in game set 3- good arc, rotation- looked just like warm-ups. Knows exactly where teammates are going to open up, cut, etc. and gives the ball in perfect scoring position. Passes the ball up-court better then any PG in America. Quick hands defensively- deceptive. In warm-ups his set 3 ball was not near as flat as it was last season- his arc is better. In Marshall you know you are getting a poised, pass first PG (over 200 assists 21 games into season). I question how well he is going to do in the pros because of his defensive woes. A team will and should take a chance on him in the second round- I don’t know if his skills warrant a first round selection. With the NBA back in full preseason swing, college season hitting the December stride and high schools getting ready for their holiday tournaments, basketball season is officially here. Let’s take a swing around the net to see the top stories today. Harrison Barnes has the worst stop percentage — which measures the percentage of opponent individual possessions directly stopped by a player — of any Tar Heel rotation player at 50.6 percent. No matter what David Stern says, the controversy surrounding the Chris Paul trade(s) started because he was initially going to the Los Angeles Lakers, the league’s marquee franchise. As Dan Gilbert’s strongly worded letter showed, small-market clubs still harbor a good deal of animosity towards their big-market colleagues. It’s not too surprising either, because the dynamic between those franchises is what caused the lockout in the first place. Finally, let’s talk high school hoops. Thursday night saw a bevy of games on ESPN, including Oak Hill and Miller Grove in a game loaded with high major talent. It’s great to see players we’ve featured on Basketball Elite in the past as they move on to become more known in their careers, including players like Tyler Lewis, Jordan Adams and A.J. Hammons. Oh, by the way, A.J.’s interview will be posted next week. Harrison Barnes of UNC talks about the Chris Paul elite guard camp, what he’s working on over the summer to get ready for next season, and who the toughest player is to match up with at the camp. Harrison Barnes, the 6’8″ freshman forward for UNC and possibly a future number one NBA draft pick, opened up his college basketball career by hitting his first shot. Barnes joins a couple of other highly touted incoming freshman to the Tar Heels who are working to return the team to their title-contending form from two years ago. The first game against Lipscomb was a mixed bag. Barnes looked solid at times, over eager at other times and too often, settled for jump shots. However, he did score consistently and certainly played well as a starter. The Tar Heels are almost completely rebuilt from last season, with new starters everywhere and players taking on new roles. Dexter Strickland is no longer having to run the point and drive the offense, now being moved to his more natural position of off guard. Incoming point guard Kendall Marshall is a better option to back up Larry Drew, and even though Marshall was considered to be a ‘pass first’ point guard, he scored well and managed to push the offense effectively. Overall, even though all eyes were on Harrison Barnes, the workhorses of the game were John Henson, who snagged a near triple-double with 10 points and 17 rebounds, Tyler Zeller who started at center and added 15 points, and freshman Reggie Bullock, who came in off the bench and immediately started scoring points. The Heels looked better than last season, but it’s not clear yet if they warrant their current top ten ranking. Lipscomb showed they also have a trio of solid players in guard Josh Slater, who scored 21 points, freshman point guard Robert Boyd, and post player Adnan Hodzic, who scored 14 points in the loss. With the John Wall recruiting hype over, and Lance Stephenson looking like he hopes somebody will pay him some money to play somewhere, we move on to the biggest names for 2010. First, let’s talk about the top players who aren’t committed, and leading that pack is Harrison Barnes (SF, 6’6″, 2010), followed by Brandon Knight (PG, 6’3″, 2010), Josh Smith (C, 6’9″, 2010) and Kyrie Irving (PG, 6’1″, 2010). Right now, Barnes is considered the top player and he just completed a visit to the campuses of Duke and UNC (which isn’t hard, considering they are only eight miles apart). He already has offers from both schools, as well as Kansas, Florida, Kentucky, Oklahoma and just about anywhere else he wants to play. 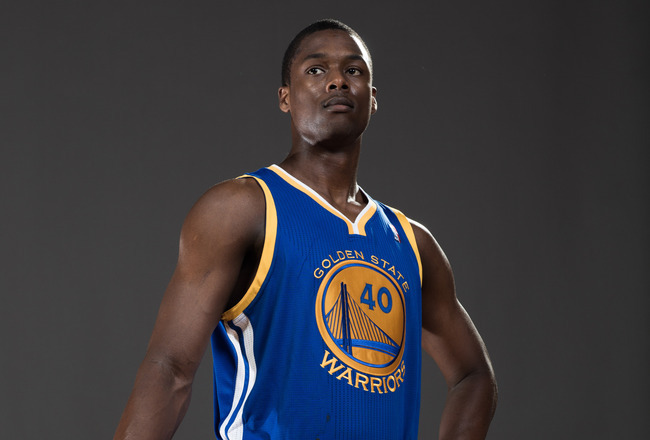 Harrison Barnes is currently the number one player we’re tracking for 2010. Barnes is a good outside shooter and has the size and handles to legitimately play the 2 in the pros if he continues to develop. He has a guard’s court vision and can slash as well, although he needs to be able to develop the ability to create his own shot and finish his slashing moves better. His first step is very, very quick and he uses it to get to the basket extremely well. One thing I really like about Harrison’s game is his stroke. I would like to see him display a little more athleticism for a 6’6″ guy around the basket, because it could be an issue when he’s going against big 6’9″ guys in the paint every night in college. But I’m going to see a lot more of Barnes before then.